I have several versions of these crescents. They are one of my favorite weeknight meals. They are super easy to make and don't dirty up the kitchen. That is a win-win in my book! 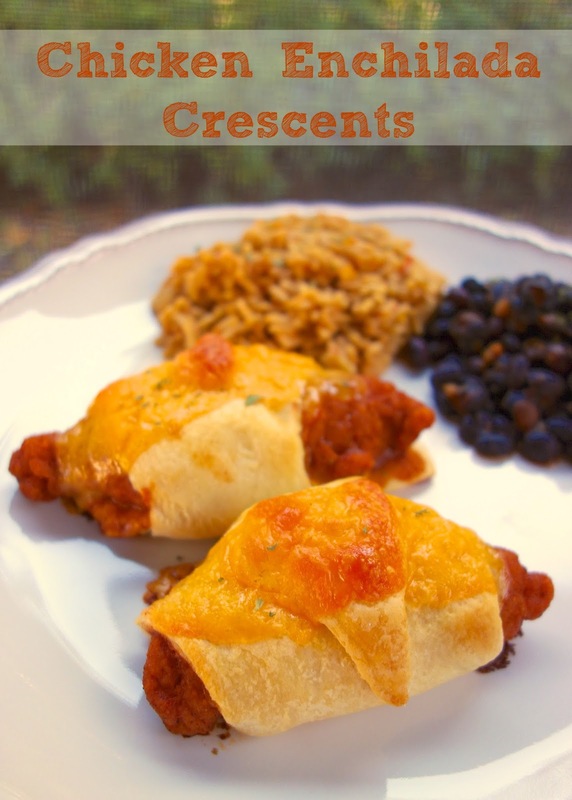 These crescents use frozen breaded chicken fingers. There is no need to thaw the chicken fingers before making these crescents. They will bake right along with the crescent rolls. These are great for a quick lunch or dinner. We served them with some black beans and taco rice. YUM! Separate crescent rolls into 8 triangles. Pour sauce into a bowl or saucepan. Place one half slice of cheddar cheese on top of crescent roll. 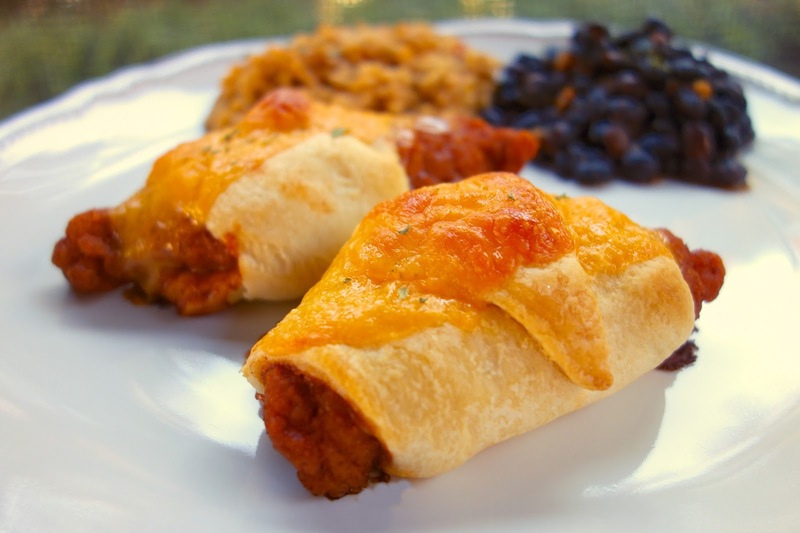 Dunk chicken finger into enchilada sauce and place on top of cheese. Roll up crescent and place on cookie sheet. Repeat with remaining chicken fingers and crescents. Bake for 12 minutes. Remove from oven and top each crescent with remaining half slice of cheddar cheese. Bake for additional 5-8 minutes. This is a great idea! Especially for a picky eater who loves chicken...I always look for additional ways to cook it. Wow! Such a simple idea, but it looks delicious!